Hello nail friends! A Tuesday post! I know! I'm sort of thinking that I want to change my posting schedule to Tuesday/ Thursday, as it would suit my personal agenda better. I know I haven't been super consistent posting regardless lately, but ya know, I've been busy. Life stuff! Enough of that! 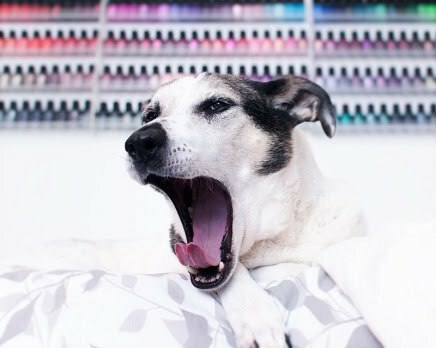 Today I've got Zoya swatches to show you! Specifically, the Zoya Fall/ Winter 2016 Holo Metallic half of the Urban Grunge collection! Ready to take a look? This collection is gorgeous- beware! Ash is a vibrant cherry with strong cool (blue-toned) undertones, although looks a lot warmer toned in the bottle. It's filled with bright magenta shimmer as well as light gold shimmer for a very metallic finish. There's that interplay between warmer base color and cooler-toned shimmer. Formula: It's very pigmented and definitely on the thick side. However, it applies easily and is very nearly opaque on the first coat. Since this is thicker, it is helpful to completely wipe off one side of the brush before application- you'll need a lot less polish than you think. Otherwise, performance is very nice: easy to work with, luxurious-seeming formula! Britta is a warm-toned berry (cranberry?) metallic filled with the same gold shimmer, as well as red and fuchsia shimmers. This one is very flattering on my skin tone, and is rich and pleasingly vampy as well! Formula: It's nearly perfect- at least to me! Very similar to Ash, maybe easier to control somehow, thick, creamy, and basically opaque in one coat. I like to use two coats for photographs, but if I were just wearing this shade for the sake of it, I'd likely stop at one! A+! Finley is a deep royal purple with a scattered holographic finish. The tone of purple seems, to me, to lean slightly to the warmer side of things, but I guess it really depends what you compare it to. The scattered holo particles are large- like tiny flakes- and the holo effect is noticeable in strong indirect light and more apparent in direct light. Formula: It's good! I haven't used Zoya- Dream in a while, but it reminds me strongly of that. It's sheerer than the first two metallic shades here, but is still pigmented, and builds to opacity in two easy coats- just make sure to wrap the tips. The actual texture is a little thinner as well, although still easy to control. Merida is a (slightly) cool-toned, evergreen scattered holographic. Very rich and luxe-looking! Formula: It's very similar to Finley in consistency and pigmentation level. Pretty easy to work with, except I noticed that you really cannot go back and do excessive brush strokes after the initial few without the risk of pulling (most of the others have a lot of "play time"). This mostly didn't affect application for me- just a couple nails before I figured out not to do that! Overall, it's easy to work with and builds to opacity in two coats! Troy is a cool-toned, gun-metal silver with a metallic foil finish. Zoya describes it as a pewter, and I can see that especially when the gold shimmers are reflecting light. It's very pretty- and yet, a badass color! Formula: It's so lovely! Medium-thick consistency, easy to manipulate, opaque in one coat (though, again, I used two), self-leveling- just a breeze to apply. A+! Alicia is described as a "linear holo with a touch of gold," but I think it has both a linear effect as well as that scattered, chunky flake holo effect that Merida and Finley have. Which is to say: loveliness! The golden shimmer is very present as well, and really makes this polish quite unique, I think! Overall, I think this collection is sure to please most people, especially the shades Merida and Finley, which are richly pigmented and have the amazing scattered holo finish that Zoya does so nicely! 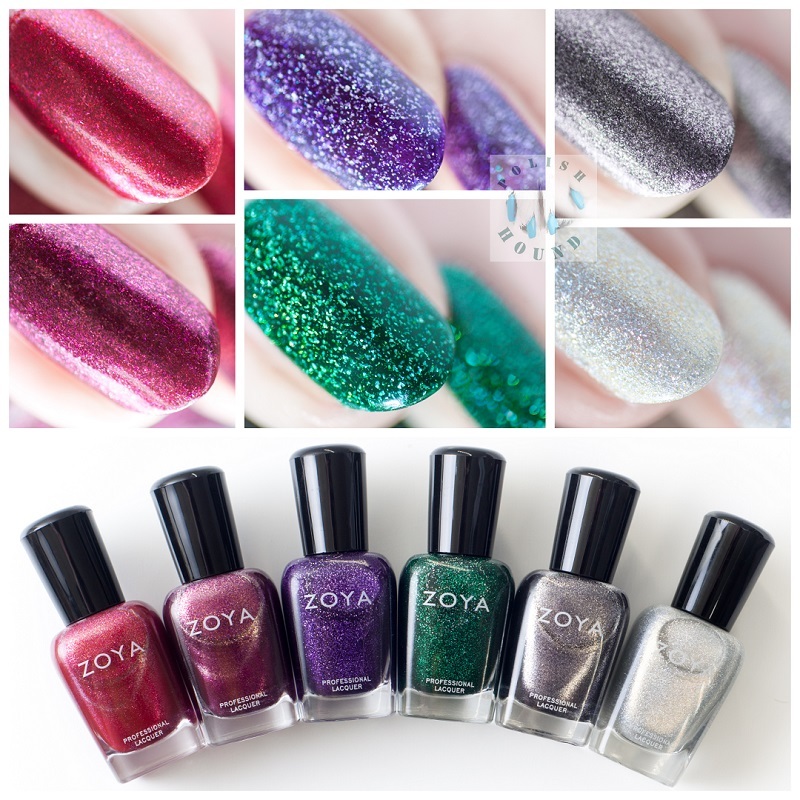 (As much as I love other Zoya finishes, I'd be happy if they only released scattered holos, to be honest!) The other metallics in the collection are pretty gorgeous as well- I feel like people will overlook them in favor of the holos- but they are so pretty in person! I especially love Troy against my skin tone, and Britta is so rich and perfect for Fall! Some might be frustrated that Alicia needs three coats for opacity, although it is probably the most unique shade here due to the golden-yellow shimmer. Formula-wise, all had great, easy textures. Really great! The three metallics (Ash, Britta, Troy) are opaque in one coat- it doesn't get any easier than that! Merida and Finley have bases that are more jellyish, but still very buildable. So, overall, A+ on formulas! Which are your favorites here?